NIA CHARLESTOWN NEVIS (March 18, 2015) –The Ministry of Health in the Nevis Island Administration (NIA) continues to make strides in the provision of improved health careservices on the island. 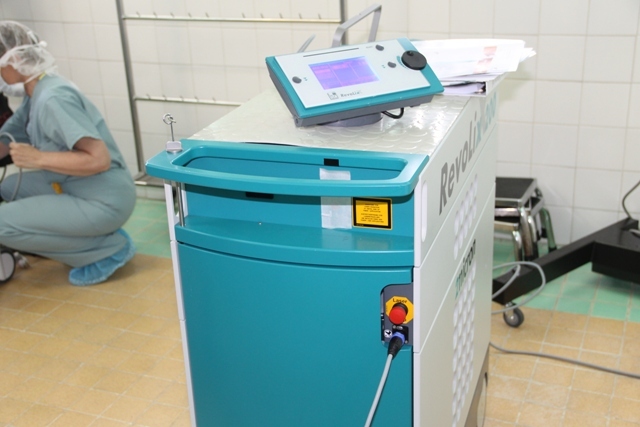 The Alexandra Hospital Operating Theatre received two pieces of surgical laser equipment provided by Carter Surgical on March 13, 2015. 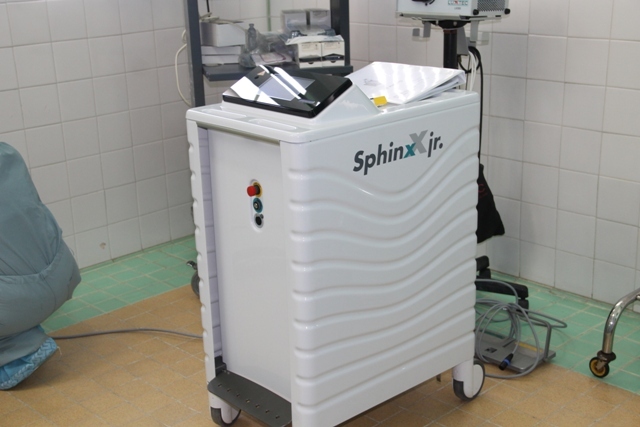 The Sphinx Jr. 30 Watt is a holmium laser, optimized for lithotripsy and flexible endoscopy in the urinary tract while the Revolix is the only laser specifically developed for soft tissue surgery. 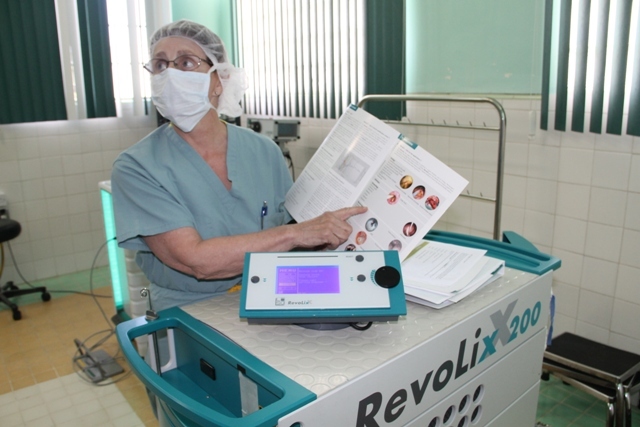 Surgical Technician of Carter Surgical Ann Mcmellin, explained the functions of the Sphinx Jr. 30 Watt and Revolix Surgical Lasers. “The Sphinx is used for breaking kidney stones and stones that are in the urethra, the passage the kidney and the bladder and also bladder stones. So this is a slightly different wave length but it still heats up the water that is in the stone. It is a very efficient machine because it has a lot of settings. You can adjust the pulse width … the pulse energy and also the frequency in the pulses…you can also use it on soft tissue,” she said. Mcmellin also stated that the use of these lasers would result in less bleeding and shorter recovery time.